Or grabbing back what’s rightfully yours! Search engines like Google use several different ranking factors to determine where to place pages in search results. These ranking factors can number into the hundreds (in Google’s case), but roughly speaking these ranking factors come into three main areas: On-site factors, Off-site factors and Hosting Environment. 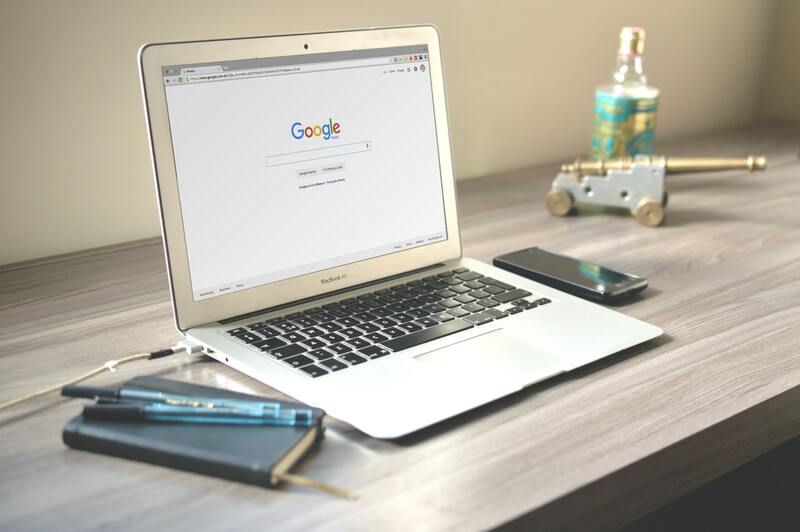 Traditionally the biggest influence in rankings for Google have been the Off-site factors, including links coming into a target website from other websites out there on the ‘Web. These ‘external links’ have been the core of Google’s ranking algorithm ever since Larry Page (one of Google’s two founders) proposed the use of external link signals in 1996. The resulting PageRank algorithm named after Page is still at the core of the Google search engine and there’s no reason to think that external links are going to be replace anytime soon. So external links are important. This creates a potential problem for those wishing to get a brand-new website, but also an opportunity for those looking to recover from past mistakes. If you’ve ever been in the unfortunate situation where you’ve got a new website and then immediately lost search engine rankings or website traffic, then the following information could be of some real use! When moving from one website technology to another, it’s a fair bet that page URL’s on your website will change. For instance if your old website had URL’s of the form http://www.site.com/page.html and your new website had URL’s of the form https://www.site.com/page/ you would have to put in a redirect from the old URL to the new URL. If you don’t put redirects in place then firstly search engines won’t know where to find the new pages, secondly (as a result of this) your website will lose search engine rankings and thirdly, all of the websites linking to http://www.site.com/page.html will now be showing a ‘not found’ error when people (and search engines!) click through from their page to yours. This isn’t good, as it’s a clear signal to search engines like Google that something is terribly wrong. Broken links like this are very bad news and the reason that a website can lose search engine results rapidly if redirection isn’t done properly when a new website is designed, or page URL’s changed. Thankfully, when redirection isn’t done properly all is not lost. Google’s spiders do come back to a website for a quite long period looking for missing pages when a redirect isn’t put in place. I’ve personally seen Google’s search engine spiders visiting for 6 months after pages have been deleted, which gives you an opportunity to fix the problem of missing redirects and this isn’t the only advantage of doing this sort of historical link reclamation. Hopefully in the intermediate time, webmasters of pages linking to yours have not noticed all the 404 (Page Not Found) errors and removed the links, but even if they have, once you have done your redirection work you can always contact each webmaster and ask them to re-establish the link. If your previous website had been up on the ‘web for a while (or you’ve actively been marketing the website) then it’s fairly likely that a lot of the pages which are now missing from your website because of a re-design or URL change have external links to them. Setting up redirects retrospectively means you can in some instances gain back those lost links and therefore rankings in Google, plus gain back useful additional traffic from those links. There are quite a few tools out there on the ‘web you can use to help you to reclaim your lost links and inform Google of redirected pages, however one of the best is archive.org’s ‘Wayback Machine’. Wayback Machine crawls the ‘web just like a search engine and saves what it finds in a database. If your website developer hasn’t saved a copy of your old website sitemap before launching your new website (with different URL’s) then you can go to http://web.archive.org and type in your website address. Hopefully Wayback machine will have previously crawled your website and saved a copy. This means you now have a comparison to put against your new website page URL’s with which to put together redirects. I usually start with the sitemap.xml file on both the new and old websites. From these two files it’s quite easy to grab a list of web page URL’s in the old and new websites. Once you have these two lists, fire up Microsoft Excel and install the ‘Fuzzy Lookup’ plugin https://goo.gl/dDRXhe . When this is installed into Excel, you can paste in data from both sitemap.xml files and ask Fuzzy Lookup to compare the two sets of data. Fuzzy Lookup will create a comparison score for both sets of data and match up accordingly, based on the page titles of each page in your old and new websites. If you’re fortunate and perhaps have used the same page titles in your old and new website, then you’ve immediately got a full list of redirects you can set up to point old page URL’s at new URL’s. Once you’ve re-written this list in the correct format all you need to do is get these redirects into your website, server setup or .htaccess file. From then on, you’ve a good chance of gaining back some of those lost external links and therefore rankings in Google. Does Your Website Have Duplicate Content Issues?